There is not the slightest doubt today that Russia has begun a full-scale war against Ukraine, abandoning all international conventions and agreements and opposing itself to the entire democratic world. While bullets are whistling in the Ukraine, threats and import bans are the first things for Russia to use against Europe and the United States. Now there is the abduction of Estonian security official. In view of the escalation of the situation, it would be logical if it were followed by a military conflict, to begin with, for example, on some Russia´s western border where the Kremlin has accumulated a huge amount of military equipment and living force. The European Union, the United States and many other countries have introduced a variety of sanctions against Russia in an attempt to prevent the latter´s actions toward Ukraine. There have been no tangible results, as Russia's aggression appears to be growing. The reason is simple - these sanctions have been imposed too late, they are too few in number and insufficient. The fact that the EU is unable to agree on effective sanctions is only the grist to Putin´s mill. Russia should be stopped and it could be done by means of strong sanctions. Most of the countries and people have no doubt about that. Besides, forward-thinking Russians, for example, Kasparov have demanded severe sanctions to make both Russia and its citizens aware of the actual consequences of the war. The reason is simple – to prevent Russia from becoming even more threatening power in future. "Diplomacy is reaching its limits in the face of continued Russian aggression," says Luxembourg Foreign Minister Jean Asselborn. "It raises the question of whether one can still even achieve anything with Putin through negotiations.“ Our historical experience confirms the negative outlook and today the naive West can be a witness to Putin´s and his administration´s endless lies; instead of negotiations and the armistice, Russia will send Russian troops in an increasing number to Ukraine. Recently, Russia threatened to conquer Kiev in a couple of weeks. If this is what Russia wants, it will not hesitate. History repeats itself. In 1939, the Soviet Union attacked Finland - the Winter War. Finland turned to the League of Nations for help. Stalin was confident that none of great powers would prevent him from invading Finland and argued that there is actually no war going between Russia and Finland, but he has concluded mutual assistance pact with Kuusinen's (puppet) government. The Kremlin tells media also today that they have anything to do with the war in the Ukraine and try to show Russian terrorists as the third party in the conflict. In December, 1939 the Soviet Union was expelled from the League of Nations (the predecessor of the United Nations) and "the actions of the USSR against the Republic of Finland“ were harshly condemned. All this happened despite the fact that England and France had taken a hesitant position. All members of the league were invited to apply sanctions against the aggressor. In response, the Soviet Union announced that they just sneer at "the stupid decision" of the League of Nations. However, this sneer froze on its face when a wave of overall condemnation against Russia's actions swept all over the world and it did not limit to mere words. The League of Nations started a large international campaign to help Finland, the largest in scope the League of Nations has ever led to help its member state under attack. Within three months dozens of countries sent to Finland food, clothing, medical supplies, money, and most importantly - a large amount of war equipment: handguns, artillery, ammunition, tanks, planes, etc., including countries who has taken a hesitant position first. Volunteers came to help from as many as 29 countries. Today, it is Ukraine that needs help. If NATO or the EU refuse to do this as an organization, countries should be given free rein. After the NATO summit, several countries have promised to provide Ukraine weapons aid. To guarantee peace in Europe is not to give Ukraine to Putin. The restoration of the Empire and the retaliation for "the national humiliation of Russia" would not end up there in Ukraine. Russia sees enemies everywhere in the world in the form of imperialists, fascists and other conspirators. First, the great mission of Russian people should be fulfilled and then, of course, house put in order in the Baltic countries and Finland. Russia has always chosen victims for their aggressions among neighbours whom he believes to remain alone. As Finland is not a member of NATO, Russian power could choose to test its corresponding paragraph. Russia should be expelled from the United Nations. The decision falls within the competence of the general assembly, and it is more than likely that the required majority on this issue will be achieved. Setting of sanctions, as it is at present, in itself is not enough. Strong sanctions (oil and gas embargo, etc.) hand in hand with the loss of membership in the United Nations would affect Russia so much that it would most certainly entail a sobering effect even on Putin. A significant effect of Russia's expulsion from the United Nations and the Security Council would also be the fact that Russia will not be able to use its veto in matters related to Ukraine. It is, after all inconceivable that the state, which is ignoring the international law and has started bloody aggression against different countries, occupied and annexed a part of Georgia and Ukraine, can torpedo all resolutions directed against its criminal activities. How can this happen? Estonia has strongly condemned all Russian aggressions and the occupation of Crimea. It is our duty and interest that Russia should support international norms and abide by international law. Therefore, I appeal to the Government of the Republic of Estonia to propose to expel Russia from the United Nations. As long as Putin can mock like Stalin the spineless western countries and gain one victory after another without a serious resistance, his support in wrong wrapped and brainwashed Russia keeps growing. No need to mention his other world conquests inspired by its imperialist mind-set. Besides, a new subservient and harmful Estonian-Russian border agreement should be immediately cancelled in the context of the occupation of Ukraine and Crimea aggression. Rõõmsaid jõulupühi ja ilusat uut aastat! Peale sõja Ukrainas on Venemaa asunud korraldama provokatsioone paljudes kohtades üle maailma. Teisiti ei saa nimetada Inglise kanalil ja Gibraltari väinas peetavaid merelaevastiku õppusi ning sõjalennukite ja laevade tungimist mitme riigi õhuruumi. Sellega kaasnevad Molotovi-Ribbentropi pakti õigustamine, valed ja ähvardused, eriti Balti riikide suunas. Kreml ei varja oma soovi taastada impeerium. Venemaa agressiivsus sunnib kaitsejõudude arengusse panustama senisest rohkem. Eestil on puudu mitu tähtsat komponenti, nagu soomusvõimekus, keskmaa õhutõrje ja rannakaitsesüsteemid. Miks? Ajas tagasi vaadates näeme, kuidas kaitseväe arengut on pidurdanud võimulolnud Reformierakonna tegevus: soov kaotada ajateenistus, kasarmute sulgemine, viivitamine vajaliku varustuse soetamisega, sõjaväestatud piirivalve kaotamine, jalaväemiinide kasutamisest loobumine ja palju muud, mis meie geopoliitilist asendit arvestades on kummastav. Hiljutine kaitseväe kasutamine endale reklaami tegemiseks hämmastab oma jultumusega. Ennast riigikaitse eestvõitlejana esitlev IRL on olnud valitsuses olles kõigega nõus, välja arvatud ajateenistuse kaotamise suhtes. Keskerakonna ja SDE panusest Eesti kaitsevõime tugevdamisse ei tasu rääkidagi. Riigikogu sotside fraktsiooni liige Jaak Allik kuulutas, et Venemaa pole kunagi Eestit rünnanud ja Vene ohust rääkimine olevat rahva hirmutamine ja rumalus. Putini partei koostööpartneri Keskerakonna retoorika on olnud sama. Seetõttu tuleks nn punase koalitsiooni ohtu pärast riigikogu valimisi tõsiselt suhtuda. Kontroll õhuruumi üle mõjutab tervet sõjategevust. Ukrainas on alla lastud hulk valitsusvägede õhutehnikat, sest Kremli mahitatud separatistidel on tõhusad keskmaa õhutõrjeraketikompleksid. Ukraina õhujõud ohtlikesse piirkondadesse ei tüki. Keskmaa õhutõrje olemasolu Eestis võtaks vaenlaselt võimaluse kasutada oma õhuväge meie sõjaliste ja tsiviilobjektide ründamiseks. Kuid kaitse ei saa olla vaid passiivne. Ilma soomusvõimekuseta ei ole võimalik raskelt relvastatud vaenlasele vasturünnakuid sooritada. Hangitavad jalaväe soomustransportöörid on vajalikud, kuid lahingus toimivad nad vaid koostöös tankidega, mida niipea ei plaanita hankida. Prantsusmaa ei ole Venemaale Mistrale üle andnud, kuid Vene sõjajõududel on endalgi dessantvõimekus olemas. Alles hiljuti olid Kaliningradis õppused, kus harjutati Balti riikide okupeerimist merelt. Paraku ei soeta Eesti puuduolevat enne aastat 2022. Kahtlen, et Venemaa hakkaks oma ambitsioonide elluviimisel ootama hetke, kui me oleme valmis ofensiivi tõrjuma. Ühtlasi ei ole Eestil laiapõhjalist riigikaitsekontseptsiooni, mis peaks tagama eluks hädavajalike funktsioonide toimimise sõja ajal. Riigiinstitutsioonid, ministeeriumid ja omavalitsused ei tea, kuidas tegutseda sõjaaja tingimustes. Elanikkond on jäetud omapäi, tsiviilkaitse väljaõpet ei korraldata ja pole enam veneaegseid varjendeidki. Lahingute puhkedes on meie naised, lapsed ja vanurid täpselt sama kaitsetud kui on inimesed Donbassis. Olen selle kohta küsinud nii pea-, kaitse- kui siseministrilt, kuid tsiviilelanikkonna kaitsmist ei peeta oluliseks. Siin on vaja kiiret ja põhimõttelist muutust. Eesti Konservatiivne Rahvaerakond leiab, et olukord nõuab kohest esmase kaitsevõime tõstmist, seda ei saa lükata aastate taha. Me peame tagama inimeste ja riigi turvalisuse. Kavatseme parandada kaitsejõudude varustust, luua Eestile kaks tankipataljoni, soetada keskmaa õhutõrje kompleksid, luua rannakaitse, korraldada mobilisatsiooniõppusi ja regulaarseid reservkogunemisi kuni julgeolekuriski vähenemiseni. Taastada tuleb sõjaväestatud piirivalve, sest piiri tuleb mitte ainult valvata, vaid kaitsta ning ehitada välja piiribarjäär Eesti-Vene kontrolljoonel. Et ei korduks pronksiöö ja nn rohelised mehikesed ei saaks siin jalga maha, tuleb konfliktide tekkides saata riigist välja riigivastase tegevusega seotud ja rahvuslikku vaenu õhutavad välismaalased. Tuleb asuda täitma kodakondsusseadust ja tühistada sellistele isikutele naturalisatsiooni korras antud kodakondsus. Ühtlasi peaks sulgema Eesti-vaenulikku propagandat vahendavad infokanalid. Tuleb suurendada reservväge, tagada ajateenistuse tõhusus ja keskmise töötasu hüvitamine reservõppekogunemistel osalenutele, parandada Kaitseliidu varustamist, tõsta politsei, piirivalve, kaitseväe ja päästeameti palku ning luua nende töötajatele parem sotsiaaltagatiste ja rehabilitatsiooni süsteem. Valdkonna senised palgatõusud on toimunud peamiselt koondamiste ja lisatasude palkade sisse arvestamise kaudu ning kaitseväe ja siseturvalisuse töötajate sissetulekuid sisuliselt kasvatanud ei ole. On selge, et ilma motiveeritud inimesteta ei ole jätkusuutlik ja tõhus riigikaitse võimalik. Selleks tuleb muuta ka riigikaitseõpe ja patriootlik väärtuskasvatus kooliprogrammi osaks ning toetada praktilisi tegevusi riigi- ja tsiviilkaitse valdkonnas. Võimulolijad püüavad tekitada võltsturvalisust, justkui NATO vihmavarju all ei ohusta Eestit miski. Tõsi, meil on liitlaste lubadus meid kaitsta, kuid esmase kaitsevõime peame tagama ise. Küsimus ei ole rahas, vaid tahtes. On selge, et kui me ei panusta jõuliselt oma kaitsevõime arendamisesse, siis ei ole meil varsti ei riiki ega midagi muud, mida kaitsta. Miks Rõivas ei hooli Eesti energiajulgeolekust? Huvitav, kus on meie kogenud ja elu näinud valitsusliikmed või nõunikud, kui noor ja kogemusteta reformierakondlasest peaminister üritab Eesti energiajulgeolekualaseid püüdlusi peaaegu olematuks teha? Vähegi asjalikke põhjendusi, miks ollakse valmis meile hädavajaliku LNG terminali rajamine Soomele loovutama ja lepitakse vaid gaasitoru ehitamisega, mis meie probleeme ei lahenda, ei ole siiani esitatud. Soome peaministril Stubbil olevat piisanud Brüsselis vaid põgusast koridorikohtumisest Taavi Rõivasega, et sundida teda Eesti huvidest loobuma. Kas meie riigi välis- ja majanduspoliitika ongi selline? Keegi võtab koridoris peaministril nööbist kinni ja Eesti on valmis ükskõik millisteks järeleandmisteks? Rõivas väidab, et põhjus, miks me loobume regionaalse LNG terminali rajamisest, olevat see, et algseis on väga halb: „Ettevõtted on läbirääkimistega ummikusse jooksnud ning kui peaministrid otsustavalt ei sekku, ei tule toru ega terminali." Just toru ehitamine suurendaks tema kinnitusel meie energiajulgeolekut. See ei pea paika. Paldiski LNG terminali ehitamise ettevalmistustega lõppfaasi jõudnud Alexela Energia on avaldanud Rõivase põhjenduste ja allaheitlikkuse üle teravat nördimust. Nende hinnangul on peaministri väide Eesti–Soome gaasivõrkude kiirest ühendamisest toruga üdini eksitav: projekteerimistööde seisu järgi olevat BalticConnectori gaasitoru, kui sellele saadakse eurorahad taha, realistlik valmimisaeg alles aastal 2021. Paldiski LNG terminal valmiks aga juba 36 kuuga. Eesti on ELi stressitesti andmetel kõige nõrgema maagaasi varustuskindlusega. Gazpromi gaasitarneleping kehtib meiega 2015. aasta lõpuni. Kui Venemaa keerab gaasikraanid kinni, jätkuks Eestil gaasi vaid neljaks-viieks päevaks. Õnneks ei tarbi me täna gaasi hullupööra palju, kuid suund on püsivalt kasvav. Eesti gaasisõltuvus Venemaast jääks Rõivase sammu tõttu püsima. BalticConnector ühendaks küll Soome gaasivõrgud Eesti kaudu Lätis paiknevate maagaasihoidlatega, kuid see ei taga meile energiajulgeolekut ega Venemaast sõltumatut gaasivarustust. Seda seepärast, et Läti hoidlaid täidab Gazprom. Sama on seis ka Soomes, kus veerand Soome gaasifirmast Gasum kuulub ettevõtte ainukesele varustajale Gazpromile. Mõlemal turul monopoolse Vene gaasi pumpamine lõunast põhja või vastupidi ei loo uut gaasiturgu ega energiajulgeolekut. Vastupidi. Samuti tekitab see märkimisväärset kulu, mis tuleb kinni maksta meie tarbijal. Gaasivõrkude ühendamisel on mõte vaid pärast LNG terminali ehitamist Eestisse, mis loob võimaluse tuua ka teistelt turgudelt veeldatud gaasi Eestisse, tagada meie sõltumatus Vene gaasist ja alandada hinda. Mis puutub Soome LNG terminali ehitamisse, siis on isegi oletatud, et Gasum ei hakka tegelikult seda rajamagi, sest Gazprom saab Soome rannikule ehitatavaid väiketerminale varustada otse oma Venemaa terminalidest. Sellele viitab nende varasem hämamine, justkui oleks neil LNG terminalile asukoht olemas, mis tegelikkuses osutus valeks. Elame, näeme. Kui nii peaks minema, siis on ka Soome petta saanud. Leedus langes LNG terminali rajamisega gaasi hind 20%. Energiahind aga Eesti valitsust ilmselgelt ei huvita. 2013. aastal avatud energiaturg kahjustas tuntavalt meie tarbijaid ja tootmisettevõtete konkurentsivõimet maailmaturul, kuigi idee oli tekitada konkurents energiatarnimises ja hinna odavnemine. Elektrisüsteem ühendati põhjamaadega, mis iseenesest on positiivne, kuid tõi kaasa hoopis reeglina neist kõrgemate hindade kehtestamise. Mitte keegi pole suutnud ega üritanudki arusaadavalt selgitada, miks peab Eesti kodanik ja tootja maksma Eestis toodetud odava elektri eest rahvusvahelisest turust kallimat hinda. Tagasi vaadates ei ole LNG terminali juhtum sugugi ainus, mis meie energiajulgeolekut ohustab. Aastaid aktiivselt uue, loovutusliku piirilepingu sõlmimist ajanud välisministri Urmas Paeti poolt allkirjastatud leping jätab meid ilma ligi neljasajast miljonist tonnist põlevkivist, millest valmistatud diiselkütus kataks Eesti vajaduse tervelt kolmveerand sajandiks ja mille maksumus oleks ca triljon eurot – rohkem kui kõik senised Eesti riigieelarved kokku. Märgiline on ka fakt, et Reformierakond asub juba enne riigikogu valimisi oma lubadusi murdma: on ju nende programmi kavas rahvusliku julgeoleku strateegia all must-valgel kirjas, et toetatakse LNG terminalide ehitamist Eestisse. Olukord, kus on võimalused soodsa energia saamiseks, meie maksame aga kõrget hinda, loobume energiasõltumatuse ja -julgeoleku tagamisest ning muudame ennast nii gaasitarne kui hinna suhtes Venemaa-sõltlaseks, ei ole normaalne. Mujal Euroopas kumavad selliste sammude tagant läbi Kremli huvid, kes on sihikindlalt muutnud energia üheks oma relvaks, mida ta oskuslikult kasutab teiste riikide vastu ära, seades neid endast sõltuvusse, omavahel tülli ja energiakriisi ajades. Kuidas aga meil lood on? Igatahes kummaline, et Eesti, kes on ELis energiasõltumatuse ja -julgeoleku üks eestkõnelejaid, üha uuesti ja uuesti ämbrisse astub. Vägisi paneb mõtlema, kas see enam ongi juhus ja kas seda kõike ikka saab põhjendada kellegi nooruse või kogenematusega? Kas tõesti on rahvas haige, rumal ja vägivaldne? Ma ei ole meedias ülimalt aktuaalseks muutunud kooseluseaduse teemal seni sõna võtnud. vastuvõtmist Riigikogus on selge, et vähemuse tahe prevaleerib rahva enamuse tahte üle ning moraalile, väärtuspõhisele poliitikale ja demokraatiale võib Eestis vaid hingekella lüüa. Osalesin traditsiooniliste perekonnaväärtuste toetuseks peetud meeleavaldusel Toompeal, mis oli kahtlemata viimaste aastate suurima osavõtjaskonnaga meeleavaldus Eestis. Esindatud oli läbilõige tervest meie ühiskonnast – noortest vanade, lihttöölistest teaduste doktorite ja ateistidest kirikuõpetajateni. Nii eestlased kui venelased. Räägiti ühistest väärtustest, ühiskonna eksisteerimise võimalikkusest, abieluinstitutsioonist, lastest, armastusest, perekonna mõiste ümberdefineerimisest, miks ühiskond ei pea homosuhte seadustamist ja laste adopteerimist sellistele paaridele normaalseks, demokraatiast ja ka sellest, kuidas käituda valimistel kooseluseaduse poolt hääletanud erakondade ja poliitikute suhtes. Lahkusin sealt, nagu tuhanded teisedki, positiivse lootusega. Paraku on selle jõuga läbisurutud, mitte kellelegi peale mõnesaja omasooarmastaja vaja mineva seaduse ümber asi läinud juba nii hulluks, et sellesse segadusse eksiti juba ise ära või siis hämati meelega, et fookust asja olemuselt kõrvale juhtida - kui kaks inimest tahtsid oma suhteid reguleerida, siis lepingu vormis oli seda kõigil võimalik teha. Selleks ei pea labastama ja lõhkuma perekonna mõistet ega staatust ning kiskuma ühiskonda lõhki. Kooseluseadus on parim näide halvast seadusloomest ja sellest kuhu selline jõupoliitika viib. Eesti on täna kindlasti vähemtolerantne kui enne. Diskussiooni, väärtuste ja rahva moraalsete tõekspidamiste austamise asemel süüdistavad vähemuse esindajad koos nende hääletoruks olevate poliitikutega rahvast tagurluses, rumaluses, vihkamises ja vähemuste tagakiusamises. Ära märkimata ei saa jätta ka ajakirjanduse üldist kallutatud ja erapoolikut hoiakut kooseluseaduse kajastamisel. Justkui Pätsi ajal on rahvas võimulolijate poolt kuulutatud haigeks, kes millestki aru ei saa, kelle arvamusega ei saa arvestada ja kelle eest tuleb ise kõik otsused ära teha. Järgmisel päeval peale meeleavaldust võttis Sven Mikser Delfis kokku kõik need demagoogilised valed, laimu ja viha, mida viimasel ajal on traditsioonilise pereväärtuste kaitsjate kohta esitatud ja kallas kaks kolmandikku eesti rahvast sõna otseses mõttes sopaga üle. Kuna sotsist minister kannab valitsuse ja suure osa riigikogu meelsust, siis peatun tema kirjutisel pikemalt. Kõigepealt süüdistas ta, et „traditsiooni kaitsjad“ püüavad asetada süü ühiskonnas toimuvate negatiivsete arengute ja ilmingute pärast ühele vähemusele, homoseksuaalse orientatsiooniga inimestele, kelle asemel võiksid sama hästi olla mustanahalised, juudid, vasakukäelised või kõõrdsilmsed. Siis tembeldas ta rahva fundamentalistideks, ekstremistideks ja segadussesattunuteks, kes kardavad muutuste keerises oma juuri kaotada. Sealt jõudis ta sujuvalt esimese maailmasõja järgse Saksamaa juurde, kelle mured ja probleemid vajasid lahendust ning kus ventiiliks kõlbas ka juutide ja sotsialistide karistamine. Mikser ütles, et ta kooseluseaduse vastaseid natsismilembuses siiski ei süüdista, kuid sarnaseid näiteid leiduvat ka mitmel pool mujalgi. Ilmselt pidas ta kohaseks tõmmata paralleele kooselu vastaste ja näiteks ISIS-e, Pol Poti kõrilõikajate või stalinlike kommunismikuritegude sooritajate vahel. Tegemist on räige solvangu ja laimuga kõikide normaalsete inimeste vastu, kes valutavad südant rahva saatuse ja tuleviku suhtes. Mikser peaks hoopis peeglisse vaatama, sest tänagi on rahvusvaheliseks sotsialistide lipulauluks „Internatsionaal“, laul, mille saatel mõrvasid kommunistid kümneid miljoneid inimesi. Mikser tunnistas, et kooseluseaduse eelnõul ei ole avaliku arvamuse enamuse toetust, kuid rõhutas, et parlamendisaadik on mandaadist sõltumatu ning ei peagi avaliku arvamusega arvestama. Sest enamus võib ju eksida. Näiteks tõi ta Ilmar Raagi filmi „Klass“ ja teatas, et koolivägivald sobib homofoobia metafooriks hästi, sest koolikiusajad oskavad oma tegusid harva loogiliselt põhjendada. Mikser hoiatas, kui kergesti võib traditsioonilist elukorraldust kaitsev ja võõraste väärtuste vastane kampaania kasvada üle millekski hullemaks, tuues näiteks Giordano Bruno, keskaja, inkvisiitorid ja lõõmavad tuleriidad. Seega tembeldas ta rahva enamuse ühe hingetõmbega ka homofoobideks, tagurlikeks, sallimatuteks, rumalateks, julmadeks ja vägivaldseteks. Kui see ei ole laim ja vihakõne, siis mis see on? Kust võtab poliitik ja valitsuse liige jultumuse tõsta end rahvast ja inimestest kõrgemale, solvata ja alavääristada neid ning väärtushinnanguid, millele oleme tuginenud läbi aegade ning mis andsid eesti rahvale jõudu kesta ja saada taas iseseisvaks? Mikser rääkis võimalusest olla vait. Kahju, et ta seda võimalust ise ei kasutanud. Kuid küsimus ei ole mitte ainult Mikseris. Samasugused on Ilves, Rõigas, Ligi, Randpere, Nestor, Maruste ja kõik teised, kes arrogantselt arvavad, et teavad rahvast paremini, mis on õige ja vale või milliseid väärtushoiakuid peame oma lastele edasi andma. Rahva tahet on varemgi ignoreeritud. Võtkem või ACTA, ESM, keele- ja kodakondsusseaduse lahjendamised või piiriküsimus. Sellist ühiskonda, eriti kui võimulolijad lähevad põhiseaduse, moraali alustalade ja ühiskonna väärtussüsteemi kallale, ei saa demokraatlikuks nimetada. Üheski demokraatlikus ühiskonnas ei tuleks kõne allagi rahva enamuse tahtest jõuga üle sõitmine mingi marginaalse vähemuse huvides. Peale Eesti Konservatiivse Rahvaerakonna ei ole kahjuks ka mitte ükski uus erakond kindlalt perekonnaväärtuste kaitseks sõna võtnud. Toompeal olles meenutasin, kuidas me taasiseseisvumise ajal seisime siin võõraste väärtuste ja võõrvõimu vastu, lipud käes ja isamaalised laulud suus, tundsime muret demograafilise olukorra ja oma rahva säilimajäämise üle. Ja kui vale on, et me peame ka täna seisma nendesamade asjade eest, kuid enda valitud esindajate vastu. Mul on häbi nende pärast. Kooseluseadus tuleb tagasi võtta ja rahvahääletusele panna! Tänavu möödus 70 aastat sellest, kui vene okupatsiooniarmee vallutas Eesti ja algas meie rahvale suurimaid kannatusi toonud kommunismiike. Kuna kaitselahingud toimusid ka Saue linna ümbruses, siis on meil põhjust neid meelde tuletada. Kumna ja Keila lahingutest on meedias rohkem räägitud, seetõttu puudutan peaasjalikult Pärnu maanteel toimunud sündmusi. 20.09.1944 kuuluti välja Otto Tiefi valitsus. Reaalset kontrolli Eesti territooriumi üle paraku ei saavutatud, kuid Eesti kuulutati sõjas neutraalseks ja nõuti kõigi võõrvägede viivitamatut lahkumist; admiral Pitka alustas Eesti Vabariigi väeosade organiseerimist, et osutada vastupanu Punaarmeele ja Pika Hermanni torni heisati Eesti lipp. Kuid juba 22. septembril vallutasid vene üksused Tallinna. Sini-must-valge lipp Toompeal lasti kuulipildujavalanguga puruks ja kisti maha. Punase laskurkorpuse leitnant Lumiste, kes olevat hiljem oma meeste poolt maha lastud, heiskas Pika Hermanni tippu kommunistide punalipu. Tänaseni korrutatav Vene propaganda põhitees, mille järgi Tallinn olevat vabastatud Saksa fašistide küüsist on puhas vale. Tallinn „vabastati“ Eesti Vabariigi seaduslikust riigivõimust, Saksa väed olid linnast juba lahkunud. Siin olid ainult vähesed Eesti üksused, keda üleüldises segaduses ei olnud veel ühise juhtimise alla jõutud organiseerida. Viimase kaitselahingu Tallinna eest pidas grupp soome- ja pitkapoisse koos Eesti Diviisi meestega, kokku umbes 20 võitlejat, maha Pääskülas, tänase raudteedepoo kohal. Seal rünnati linna poolt tulevat tankikolonni, mille igal masinal istus hulk punaarmeelasi. Kogupauguga pühiti esimeste tankide pealne puhtaks. Laskemoona ja meeste vähesuse tõttu oldi sunnitud siiski õige pea üle raudteetammi Vanamõisa poole taanduma. Hävitati mitukümmend punaarmeelast. Kaitsjatest langes kaks, neil olevat venelased hiljem vihaga pead maha raiunud. Toimunut jäi Vabaduse puiesteele meenutama tankirusikaga hävitatud Punaarmee soomusmasin. Lahing, kuigi lühike, peatas vaenlase edasiliikumise tükiks ajaks. Üks Pääsküla lahingus osalejatest oli tänase Saue linnapea isa, Gunnar Põlluaas. Järgmine kaitsepositsioon asus Tõdva jõe ääres. Kaitsjad üritanud silda õhku lasta, kuid see ei õnnestunud. Kella kümne paiku õhtul ilmusid Pääsküla poolt vene tankid, mille pihta avati tuli. Üks tank olevat tankirusikast põlema lastud, teised tõmbusid tagasi. Paari tunni pärast algas aga juba tõsisem rünnak, mis sundis kaitsjaid taanduma. Kilomeeter-poolteist Pärnu poole, Sauel, Kanama teeristis ootas Punaarmee tankikolonni umbes 60 mehest koosnenud vastupanugrupp, kes olid valmiskaevatud pesades positsioonil maantee sauepoolsel küljel. Üks Eesti Diviisi mees peitis ennast tankirusikaga tee kõrvale rõuguredelite virna taha. Hommikul saabus esimene soomusauto luurele. Ta tulistas liikumise pealt vana kõrtsi, selle kõrvalhooneid ja tee ümbrust. Peatus, laskis mõned lasud ja liikus jälle edasi. Kostis tankirusika lasu susin, soomusmasina kohal lõid sädemed laiali, masin kaotas juhitavuse ja kaldus külili kraavi. Sinna ta jäigi, keegi välja ei tulnud. Tankikolonn peatus, edasi tulla ei julgetud, sest tankirusikas oli relv, mis tekitas venelastes aukartust. See-eest avati soomuskolonnist kaitsjate pihta kahurituli ja kuulipildujatule toetusel ründas neid ahelikus vaenlase jalavägi. Lahing kestis tükk aega, kuulipilduja hävitati ja ahelik suruti maha, kuid kuna tankide vastu pelgalt käsirelvadega ei saa, siis anti meestele taganemiskäsk. Hävitatud soomusmasin seisis kraavis veel kaua. Järgmine pea 300 mehest koosnenud üksus ootas ründajaid Haruteel. Grupil oli ka tankitõrjekahur ning miinipilduja, laskemoona aga nappis. Lahing puhkes samal õhtupoolikul, mil Haruteele jõudsid tankid korraga kahest suunast, Tallinna poolt ja Keilast. Nende tegevust suunati arvatavasti Harutee kohal tiirelnud lennukilt. Kaitsjad olid sunnitud peatselt taanduma. Sarnaseid kaitselahinguid toimus kõikjal, Riisiperes, Ristil jne, kuni terve Eesti vallutamiseni. Pea kõikjal astusid arvulises ja tehnilises ülekaalus olevale Punaarmeele vastu indu täis, kuid kohati vähese lahingukogemusega noored eesti mehed. Kuna saksa väed olid taandunud, siis ei suutnud raskerelvastuse ja õhutoeta jäetud eestlased ülekaalukat vastast tagasi tõrjuda. Relvastatud vastupanu takistas aga Punaarmee edasiliikumise kiirust märkimisväärselt, andes nõnda kümnetele tuhandetele inimestele võimaluse Läände pagemisega pääseda järgnenud repressioonidest ja alandustest. 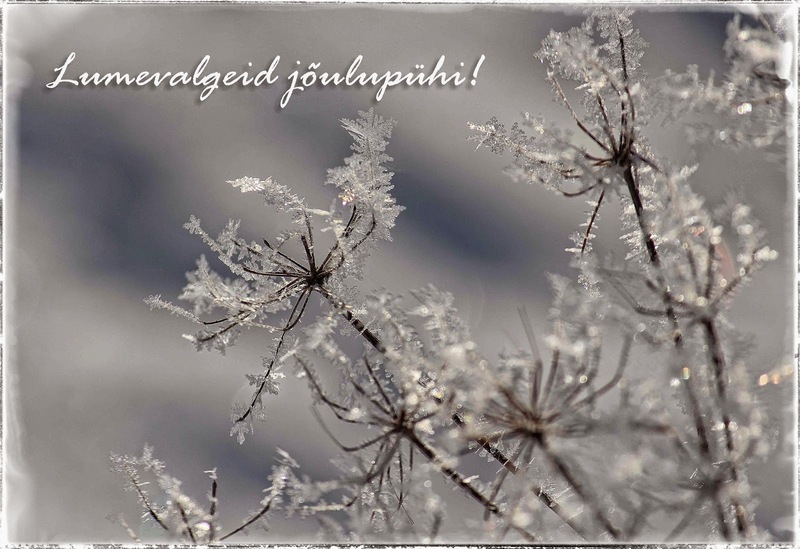 Kindlasti säästis see tuhandete inimeste elud. Ka peaminister presidendi ülesannetes Jüri Uluots ja mõned valitsuse liikmed pääsesid tänu sellele Rootsi ning jätkasid eksiilis Eesti riigivõimu järjepidevuse edasikandmist ning tegutsemist. Peaminister Tief ning ülejäänud ministrid jäid aga neile Puise randa järgi saadetud kiirkaatri hilinemise tõttu Eestisse ja arreteeriti. Kaitseminister Maide lasti maha, teised saadeti sunnitöölaagritesse, kus enamik neist hukkus ebainimlikes tingimustes. Süüks pandi neile „rahva tahte vastased“ üleskutsed „vabastavale“ Punaarmeele vastupanu osutada ja „kodumaa reetmine”. Päeval, mil langes Tallinn, uputasid vene lennukid, rikkudes jõhkralt kõiki rahvusvahelisi kokkuleppeid, Eestist Saksamaale evakueeruva laatsaretlaeva Moero, mille pardal oli ligi 3000 kaitsetut haavatut ja tsiviilpõgenikku, naised ja lapsed. Ründajad ei hoolinud, et laeva külgedele oli maalitud suured punased ristid. Päästa suudeti ainult 600 inimest, 2400 hukkus. Neist 1500 olid eestlased. Moero ei olnud ainus venelaste poolt Läänemerel põhja lastud laatsaretlaev. Täna on see kõik minevik, me leiname hukkunuid ning oleme sügavalt tänulikud neile, kes olid valmis andma ja andsid oma elu Eesti vabaduse eest. Kuid ka täna ohustab meid sama vaenlane. Putin ähvardas Vilniuse, Riia, Tallinna, Varssavi või Bukaresti kahe päevaga ära vallutada, kuid see ei õnnestu neil enam. Täna on Venemaa üksi. Meie aga ei ole. Me ei alistu Kremli ähvardustele ja meil on liitlased, kelle sõjaline võimekus on kümneid kordi suurem kui Venemaal. Nagu ütles üks NATO kindral - las üritavad, sellest saab neile üheotsa pilet. Täna ei tohiks kellelgi olla vähimatki kahtlust, et Venemaa on alustanud täiemõõdulist sõda Ukraina vastu, heitnud prügikasti kõik rahvusvahelised konventsioonid ja lepingud ning vastandanud ennast tervele demokraatlikule maailmale. Kui Ukrainas vihisevad kuulid, siis Euroopa ja USA vastu kasutatakse esialgu ähvardusi ja impordikeelde. Nüüd ka Eesti julgeolekutöötaja röövimist. Jälgides olukorra eskaleerumist ei oleks enam sugugi üllatav, kui sellele järgneks ka sõjaline konflikt, esialgu näiteks kuskil Venemaa läänepiiril, kuhu Kreml on kuhjanud tohutus koguses sõjatehnikat ja elavjõudu. Euroopa Liit, USA ja nii mõnigi teine riik on kehtestanud erinevaid sanktsioone, püüdes takistada Venemaa tegevust Ukraina suunal. Käega katsutavat kasu sellest ei ole olnud, Venemaa agressiivsus kasvab üha. Põhjus on lihtne - sanktsioonid on tulnud liialt hilja, neid on liialt vähe ja nad ei ole piisavad. Sellest, et EL ei suuda tõhusates sanktsioonides kokku leppida on vaid veski Putini veskile. Vajadus Venemaa peatamise ja tugevate sanktsioonide järele on selge. Enamus riike ja inimesi mõistab seda. Ka edumeelsed venelased, näiteks Kasparov on nõudnud sedavõrd tugevaid sanktsioone, et need teeksid sõja tagajärjed tuntavaks nii Venemaale kui selle kodanikele. Põhjus on lihtne – muidu muutub Venemaa homme veelgi hullemaks. „Diplomaatia seisab silmitsi üha uute Vene agressioonidega,“tõdes Luksemburgi välisminister Jean Asselborn: „See tõstatab küsimuse, kas Putini juures on üldse võimalik midagi läbirääkimistega saavutada.“ Meie ajalookogemus ütleb, et mitte ja täna näeb ka muidu sinisilmne lääs, kuidas Putini ja tema administratsiooni valedel ei ole otsa ega äärt ja et läbirääkimiste ja vaherahu asemel saadab Venemaa üha uusi sõjaväeüksusi Ukrainasse. Hiljuti ähvardas ta võtta Kiievi kahe nädalaga ära. Kui tahab. Ma ei kahtle, et ta on selleks valmis. See kõik on meile tuttav juba minevikust. 1939. aastal ründas Nõukogude Liit Soomet ja algas Talvesõda. Soome pöördus abisaamiseks Rahvasteliidu poole. Stalin oli kindel, et ükski suurriik ei asu teda takistama ja väitis, et Venemaa polegi Soomega sõjas, vaid on sõlminud enda poolt loodud Kuusineni nukuvalitsusega hoopis vastastikuse abistamise lepingu. Täna väidab Kreml, et neil pole mingit pistmist sõjaga Ukrainas ja püüab näidata enda mahitatud terroriste konflikti kolmanda osapoolena. 14.12.1939 heideti aga Nõukogude Liit Rahvasteliidust (ÜRO eelkäija) välja ja mõisteti NSV Liidu „aktsioonid Soome riigi vastu“ karmilt hukka. See toimus vaatamata sellele, et Inglismaa ja Prantsusmaa olid kahtleval positsioonil. Kõiki liidu liikmeid kutsuti üles rakendama agressori vastu sanktsioone. Nõukogude Liit teatas vastuseks, et Rahvasteliidu „tobe otsus” kutsub neis esile vaid iroonilise muige. Kuid muie jäätus, kui kogu maailmas vallandus Venemaa tegevuse vastu üleüldine hukkamõistu laine, mis ei piirdunud vaid tühipaljaste sõnadega. Rahvasteliidu otsuse järgselt algas laiaulatuslik rahvusvaheline Soome abistamiskampaania, mis oli ulatuselt suurim, mida Rahvasteliit oli oma ründe alla sattunud liikmesriigile iialgi osutanud. Kolme kuu jooksul saatsid kümned riigid Soomele toitu, riideid, meditsiinitarbeid, raha ja mis kõige tähtsam – suurel hulgal sõjamaterjali: käsirelvi, suurtükke, laskemoona, tanke, lennukeid jne. Ka algul kahelnud riigid. Vabatahtlikke tuli appi tervelt 29 riigist. Täna vajab hädasti samasugust abi Ukraina. Kui NATO või EL seda organisatsioonina ei tee, siis tuleb abi andmiseks anda vabad käed riikidele. Peale NATO tippkohtumist on mitu riiki Ukrainale relvastusalast abi ka lubanud. Rahu Euroopas ei tagata loovutades Ukraina Putinile. Impeeriumi taastamine ja „vene rahva alanduse eest“ kättemaksmine ei lõppeks Ukrainas. Vaenlasi, imperialiste, fašiste ja muid salasepitsejaid on ju terve maailm täis. Kõigepealt tuleb vene rahva suur missioon täita ja kord majja lüüa loomulikult Balti riikides ja Soomes. Venemaa on alati valinud oma agressioonide ohvriks naabrid, keda ta arvab jäävat üksi. Soome ei kuulu NATO-sse ja ka NATO paragraaf viis vajab ju testimist. Venemaa tuleb välja heita ÜRO-st. Otsus kuulub üldkoosoleku kompetentsi ja on enam kui tõenäoline, et vajalik häälteenamus saadakse kokku. Pelgalt senisel kombel sanktsioonide seadmisest jääb iseenesest väheseks. Tugevad sanktsioonid (nafta ja gaasiembargo jne) käsikäes ÜRO liikmelisuse kaotamisega oleks Venemaale juba sedavõrd tuntavad, et mõjuks isegi Putinile kainestavalt. Venemaa väljaheitmise oluline tulemus ÜRO-st ja Julgeolekunõukogust oleks ka see, et Venemaa ei saaks kasutada oma vetoõigust Ukrainaga seotud küsimustes. On ju mõeldamatu, et rahvusvahelist õigust mitte-millekski pidav, erinevate riikide vastu verist agressiooni alustanud, osa Gruusiast ja Ukrainast okupeerinud ja annekteerinud riik võib torpedeerida kõik enda kuritegeliku tegevuse vastu suunatud resolutsioonid. See ei saa nii olla. Eesti on Venemaa agressioonid ja Krimmi okupeerimise teravalt hukka mõistnud. Meie kohus ja ka meie huvides on nõuda rahvusvahelise õiguse kehtimist ja selle täitmist. Seega pöördun Eesti Vabariigi valitsuse poole teha ettepanek Venemaa väljaheitmiseks ÜRO-st.
Niikaua, kui Putin võib Stalini kombel lääneriikide hambutuse üle irvitada ja ilma tõsise vastupanuta liikuda võidult võidule, kasvab tema toetus valedesse mässitud ja ajupestud Venemaal veelgi. Tema ja teiste impeeriumimeelsete maailmavallutusisust rääkimata. Ja muuseas, ka Eesti-Vene loovutusliku ja meile kahjulik uus piirileping tuleb Ukraina agressiooni ja Krimmi okupeerimise kontekstis koheselt tühistada. Europarlamendi valimised on läbi. Neli erakonda ja üks üksikkandidaat on võtnud võidu, kuus kandidaati on tõstetud parnassile. Alanud on tulemuste tõlgendamine ja analüüsimine. Valimistest võttis osa 36,4% valijatest. Viis aastat tagasi oli see protsent veel 43,9. Kindlasti oli madal valimisprotsent pettumuseks kõigile valimistel kandideerinutele ja ka kõigile aktiivsetele valijatele, kuid võib-olla just see ongi toimunud valimiste kõige kõnekam aspekt. Tervelt kaks kolmandikku ehk 63,6% inimestest valimas ei käinud. Välismaal elavad ligi 100 000 valijat (sellises suurusjärgus on täna sotsiaalmaksu maksjaid vähem, kui enne kriisi 2008. aastal) andsid valimistel 1655 häält, ehk siis valimistel osales neist ainult ca 2%. Kas me ilma kõigi nende inimeste arvamust teadmata üldse saame toimunust õigeid järeldusi teha? Põhjendusi, miks valimisprotsent väike oli, on toodud mitmeid. Ilus ilm; inimeste lootusetus, väsimus ja pettumine poliitikast; nördimus EL hambutu käitumise üle seoses Venemaa agressioonidega; üleüldine huvipuudus Euroopa Liidu vastu; teadmine, et Eesti saadikute 0,7 protsendise hääleõiguse puhul pole sisulist vahet, kas nad europarlamendis kätt tõstavad või mitte, ülesblufitud valimisennustused; tüdimus igale poole tungivast kampaaniast; inimeste lahkumine välismaale jne. Ma isegi ei kahtle, et kõik need põhjendused on õiged. Kuid sellisel juhul peame avalikult tunnistama, et Eesti on vajunud sügavasse stagnatsiooni ja rahvas ükskõiksusesse, mida ei suuda kõigutada ilmselt miski. Loomulikult ei olnud see saladuseks varemgi, poliitilisest stagnatsioonist ja meie inimeste vaikivast kõiketaluvusest on palju kirjutatud. Kuid kas peame üleüldist apaatsust tõdema kui lõplikku diagnoosi, mille puhul peame arvestama sellise seisundi poolt ühiskonnale kaasnevate püsivalt negatiivsete tagajärgedega? Tõepoolest, inimeste valdavat enamust ei suutnud valimistel äratada ei majandusküsimused, riikliku julgeoleku ja energiateemad, soov nõutada meile Euroopa Liidult võrdseid toetusi ja konkurentsitingimusi, massiimmigratsiooni ega ELi tuleviku küsimus, kas meile jääb suveräänse riigina meie enda asjades otsustusõigus või muutub EL ühtseks föderatsiooniks, kus võim koondub Brüsselisse. Mis ärgitaks Eesti inimese aktiivsust, kaasamõtlemise ja -tegutsemise tahet? Me võiks rahulikult vaadata tulevikku, kui võiksime kindlad olla, et kolmandik rahvast tegi õige valiku ja saatis Brüsselisse meie parimad pojad ja tütred, kes seal väsimatult Eesti huvide eest seisavad. Millised olid erakondade ja nende kandidaatide eesmärgid ja sihid, see tuli programmidest ja valimisdebattidel selgelt välja. Suurt ega sisulist vahet nelja Toompea suurerakonna vahel tegelikkuses ei olnud. Kohati tekkis tunne, justkui esindaks kõik ühte ja sedasama erakonda. Kuigi pea kõik nende kandidaadid kinnitasid, et euroföderatsiooni tekkimine ei ole nende eesmärk ega ka väga tõenäoline, tuli erinevatel debattidel siiski välja selge soov liikuda ühtse euroriigi poole. Mõte, korraldada selleks liikmesriikides referendumid, ei tulnud isegi mitte jutuks, küll oldi aga altid Euroopa Liidu keskvõimu tugevdama ja valmis looma ühtset välis-, energia,- fiskaal,-, keskonna-, julgeoleku, immigratsiooni-, maksu ja muid poliitikaid ning loovutada seeläbi pea kõikides valdkondades otsustusõigus Brüsselile. See ei ole muu kui rahvusriigi retoorika tagant hiiliva föderatsiooni loomine. Selles küsimuses oli Konservatiivne Rahvaerakond ainsaks eristuvaks erakonnaks, kes suveräänsete rahvusriikide Euroopa eest seisis. Oma abstraktsuses ei olnud föderaliseerumine aga ilmselt valijatele oluliseks teemaks või ei osatud siin lihtsalt puude tagant metsa näha. Yana Toomi tulemus näitab, et Keskerakond on üha enam muutumas vene erakonnaks, kuigi eriti sotsid, aga ka IRL ja Reformierakond püüavad vene valija pärast konkureerida. Eriti problemaatiliseks teeb Yana Toomi valimise tema sõnad, mille järgi kavatseb ta europarlamendis esindada Eestis elavaid venelasi, kodakondsusest sõltumata, ehk teisisõnu, Toom läheb europarlamenti ka Vene Föderatsiooni kodanike huve esindama! See võiks ajada naerma, kui asi tõsine poleks ja siin Ühtse Venemaa kuma nii tugev ei oleks. Mis tagas möödunud valimistel võidu? Tuleb tõdeda triviaalset tõsiasja, et Eesti poliitikas teeb ilma raha. Valimistulemused on võrdelised kampaaniaks kulutatud summadega, ulatudes suurerakondadel hinnanguliselt pea viiesaja tuhande euroni. Teatud erandiks oli vaid Indrek Tarand, kes vaieldamatu meedialemmikuna püsis pildis, sõltumata sellest, kas ta midagi tegi või ei. Enamiku aja sisustas ta mittemidagitegemisega või mitte millegi sisulise ütlemisega. Seda üllatavam on tema hea tulemus. Riigikogu erakonnad, saavad erinevalt teistest erakondadest, riigieelarvest sadu tuhandeid eurosid maksumaksja raha, mille eest korraldati võimsad ja agressiivsed valimiskampaaniad ning aktiveeriti oma valijad erakondade selja taha. Nende tulemused, kes oma liikmete toetusel pidid kümneid kordi väiksemate summadega läbi ajama, olid ka oluliselt tagasihoidlikumad. Raha ruulib. Kas see aga meile valimistel Eesti huvidest lähtuvalt ka parima tulemuse tagab, on hoopis iseasi. Loodan, et uinuv kaks kolmandikku mõistab vähemalt tulevikus, et kui sa ei vali ise, siis valitakse sinu eest. Osalesin 16.05.2014 EP infobüroo korraldatud debatil Kuressaares, kus teemaks oli tööhõive ja immigratsioon. Olin ainus, kes nägi tööpuudusest ja väikestest palkadest tingitud inimeste väljarändes ning maakohtade tühjenemises probleemi. Toompea erakonnad Sotsid, IRL, Ref (Kesk debatil ei osalenud) ja J-K Raid (Iseseisvuspartei nimekirjas) leidsid justkui kokku lepitult ühest suust, et las aga lähevad, nemad toovad meie inimeste asemele Eestisse immigrandid sisse ja kõik on kõige paremas korras. Parem kui ennegi ja mida rohkem seda uhkem. EL plaan hakata paadipõgenikke ja muid immigrante kvoodi järgi liikmesriikidesse jagama olevat samuti väga õige ja vajalik. Kui siiani on Toompealt kostnud, et Eesti ei ole sellega nõus, siis pange tähele - varsti kirjutame ilmselt ka sellele alla. Mina, kes ma selliste tulevikuväljavaadetega ei nõustunud, olin muidugi kohutav inimene ja ksenofoob, kelle koht ei ole 21 sajandis. Nende üksmeel kõigis asjades ja teineteise kiitmine oli lausa liigutav, samuti see, kuidas Pakosta IRList soovitas valida sotse. Ju siis Toompea erakondadel polegi enam tõesti omavahel mingit sisulist erinevust - ühed ultraliberaalsed eurosotsid kõik. Eks see näitas, mis asja meie kartelliparteide esindajad tegelikult Europarlamenti tegema lähevad. Olukorras, kus Venemaa on purustanud enamiku Euroopa julgeoleku senistest alustõdedest, otsustanud vilistada kõikidele rahvusvahelistele kokkulepetele ja konventsioonidele ning on relvade abil asunud ellu viima oma imperialistlikke geopoliitilisi ambitsioone, on Kaitseliidu, kui Eesti ühe kaitsevõime alustala, tähtsus, roll ja väljakutsed oluliselt kasvanud. Olgu öeldud, et meie liitlased ja NATO ei mõistnud alguses ei Kaitseliidu otstarvet, vajadust ega võimekust. Siin ei saa välistada ka Venemaa propaganda mõju, kes on järjekindlalt püüdnud luua meist pildi kui väikesest natsiriigist ja Kaitseliidust kui terroristide kasvulavast. Täna ei ole meie liitlastele vaja enam tõestada, et vabatahtlikel põhinev riigikaitse on võimalik, põhjendatud ja ka efektiivne. Seda enam, et Eesti on lääne viimane vahipost idas, mis on ainus suund, kust ähvardab sõjaline oht. Kuna Kaitseliidu temaatika on väga lai ja mahukas, siis peatun vaid mõnel küsimusel, mis on meie julgeoleku ja kaitsevõime seisukohalt olulised ja puudutavad otseselt Kaitseliidu tegevust. Kõigepealt teema, millest on räägitud palju, kuid mida ei ole avalikkuses seostatud kaitsevõime problemaatikaga. Selleks on tööpuudusest ja väikestest palkadest tingitud inimeste massiline väljaränne Eestist ja maakohtade tühjenemine. Kas see on siis probleem? Valitsus väidab, et välja on rännanud u. 30 000 inimest. Kuid need on ainult ametlikult registreerunud inimesed. Soome andmetel on seal ca 60 000 eestlast ja sotsiaalmaksu maksjaid on Eestis täna ligi 100 000 vähem, kui oli enne majanduskriisi 2008 aastal. Just see on tegelik väljarännanute arv. Miks ma räägin väljarändest ja maapiirkondade tühjenemisest. Sest tegemist on otseselt Eesti riigi julgeoleku küsimusega. EURE-se küsitluse järgi on Eestist valmis lahkuma tervelt 42% elanikest. See teeb u. 415 000 inimest. Kui nii läheks, siis poleks meil enam riiki ega rahvast ja riigikaitsest ei oleks enam mõtet rääkidagi. Kaitseväe uue arengukava järgi peaks kaitseväe reserv üha suurenema ja jõudma järgmise kümnendi jooksul 90 000 inimeseni. Kasvama peab ka Kaitseliidu liikmete arv. See on riigikaitse seisukohast positiivne. Kuid väljaränne puudutab, täpselt nagu kõiki elanikkonna kihte, ka meie reservväelasi ja kaitseliitlasi. Mul puudub statistika, kui palju neid juba on välismaale tööle ja elama läinud, kuid fakt on, et see arv on suur. Võitlejate puudus annab juba tõsiselt tunda Kaitseliidu igapäevaste ürituste, õppuste ja reservõppekogunemiste korraldamisel. Samuti Kaitseväes. Tänaseni ei ole Eestis veel ühtegi üldist mobilisatsiooniõppust korraldatud. Kui palju mehi vajadusel kokku saaksime? Olukord on tõsine ja eriti nendes piirkondades, kus väljaränne on olnud suurem. Kaitseliidul on territoriaalkaitse funktsioonid ja nüüd, kiirustatult ja läbi mõtlematult vastu võetud uue riigikaitse arengukava järgi, ka kaitseringkondade korraldamise ja juhtimise ülesanne. Nii kindral Ants Laaneots kui kolonelleitnant Leo Kunnas on osutanud kava puudustele ja leidnud, et Kaitseliit ei pruugi sellega hakkama saada. Uued ülesanded eeldavad täiendavaid rahalisi vahendeid, kuid ülesandega ei ole kaasa antud piisavalt ressursse ega vahendeid. 2014. aasta eelarves Kaitseliidu rahastamist vajalikul määral ei suurendatud. Kaitseliidu ülem brigaadikindral Meelis Kiili on öelnud, et kaitseringkondade rolli ülevõtmine olemasolevate vahenditega on keeruline ja aeganõudev. Puudus on planeerimisoskuse ja -kogemusega inimestest. Vähese kogemusega vabatahtlikud reservohvitserid ei suuda täna veel maakaitseringkonna planeerimise nõudeid täita. Kuna seniste kaitseringkondade inimesi, taristut ja eelarvet Kaitseliidule üle ei antud, siis tähendab see kogu süsteemi ülesehitamist nullist alates. See, koos vastava kaadri väljaõpetamisega, võtab aega aastaid. Arvestades Venemaa agressiivsust ja Eesti geopoliitilist positsiooni, siis sellist aega meil ei ole. Selge ei ole ka alluvusvahekord Kaitseliidu loodavate maakaitseringkondade ja Kaitseväe brigaadide vahel ning ka see võib tekitada segadust ja probleeme. Probleemide vältimiseks oleks kas mõistlik loobuda antud kavast, mille üle on kahtlust avaldatud ka teistest vaatenurkadest, või siis lükata kaitseringkondade likvideerimine edasi ajani, mil Kaitseliit on võimeline võtma vastutust üle ilma senises juhtimissüsteemis lünka tekitamata. Sellest, kuidas talitada, on kirjutanud näiteks kapten Rene Toomse. On selge, et riik peab hakkama Kaitseliitu oluliselt rohkem panustama. Kui soovime, et Kaitseliit täidaks talle pandud ülesanded, siis tuleb tagada selle varustatus, väljaõppinud kaader ja piisav rahastatus. Ma ei hakka sellel eraldi peatuma, kuid täna, eriti kui arvestada viimasel ajal Kaitseliiduga liitunute arvu, on ka üksikvõitleja tabelvarustusega probleeme. Samuti üha enam võimust võttev bürokraatia, mis hakkab varsti toimivust halvama. Tuleb arvestada, et Kaitseliidus tegutsevad vabatahtlikud ja kui tendents jätkub, siis on neil lihtsam mõni üritus ära jätta, kui uputada end selle korraldamiseks paberilasu alla. Üle tuleb vaadata ka nii Kaitseliidu kui Kaitseväe palgad, mis on ilmselgelt ajale jalgu jäänud. On üks vana põhimõte, mille kohaselt riik, kes ei toida enda sõdureid, toidab varsti võõraid. See on tõesti nii. Eesti maapiirkondade tühjenemise taustal tuleb tõdeda, et kõik, mida me saame osta raha eest on väga odav. Kõige kallim on inimene. Ja neid kipub meil nappima. Loomulikult teeb Kaitseliit endast oleneva, kuid kui kõik muud probleemid kõrvale jätta, siis kuidas tagada ülesannete ja eesmärkide täitmine, kui selleks lihtsalt ei ole enam inimesi? Kes kaitsevad tühjenenud piirkondi? Kas immigrandid? See on tõsine julgeolekuprobleem millele tuleb väga suurt rõhku panna. Mida vähem töötegijaid, seda vähem maksulaekumist ja seda vähem raha riigikaitse jaoks. Paraku ei istuv president, valitsus aga Toompea erakonnad siin probleemi ei näe ja kinnitavad justkui ühest suust, et las inimesed lahkuvad, see on nende vaba valik. Sellest, et riigi kohustus on luua oma inimestele enda kodumaal tingimused, kus neil puuduks vajadus seda vaba valikut kasutada, aga vaikitakse. Väljarände peatamiseks peab riik kiireimas korras panustama rahvusliku majanduse arendamisse, et inimestel oleks piisavalt häid ja tasuvaid töökohti. Täna makstakse selle asemel kinni meist rikkamate riikide võlgu ja lastakse väliskapitalil siin teenitud kasumid, kümned miljardid eurod, maksustamata välja viia. Eesti kulutab täna riigikaitseks 280 eurot inimese kohta aastas. Kreeka võlgade kinnimaksmisekski anname rohkem. Kriisi ajal tehtud kärped lõid meie kaitsealastesse investeeringutesse tohutu augu, mida ei ole suudetud ära lappida. Mina ei pea sugugi paljuks meie kaitseeelarve suurendamist näiteks 3%-ni eelarvest. Venemaa sõjalised kulutused on võrdluseks 4,4%. Kuid veelkord tagasi välispäritolu elanikkonna juurde. Me ei ole 20 aastaga suutnud integreerida Nõukogude okupatsiooni ajal sisse rännanud inimesi ja nende seas on tänaseni arvestatav viies kolonn, keda Venemaa juba on enda huvides ära kasutanud (meenutagem Pronksöid) ja keda ta kahtlemata kasutab ära ka tulevikus. Kõnekas on fakt, et 84% siinsetest venelastest tervitab Putini samme Krimmi okupeerimisel ja vägivaldset sekkumist Ukraina siseasjadesse. Meie ja lääne meediat ei usuta. Tõde on see, mida räägib Putin. Kahtlen, kas nad kõik sooviksid Eesti taasokupeerimist, kuid Eesti interventsioon algab tõenäoliselt just provokatsioonide ja siserahutuste korraldamisega, et saada Kremlile ettekäänet oma nn. kaasmaalaste abistamiseks. Küsimus on ainult millal ja kus. Selleks pole Kremlil palju inimesi vajagi. Oluline on ettekäände fabritseerimine. Ühe Narvas elava kultuuritegelase sõnul, kelle loengut ma hiljuti kuulasin, olevat venelasi Eesti vastu mässama provotseerida „kuratlikult lihtne“. Milline on Kaitseliidu roll selliste rahutuste mahasurumisel? Pronksiööl kasutati kaitseliitlasi, kuid seda tehti varjatult, abipolitseinike vormis. Palju on arutatud, et sellisel asjal ei ole mõtet ning Kaitseliit peaks saama tegutseda oma vormis. Seda enam, et Kaitseliitu kardetakse nii siinsete kremlimeelsete kui ka Venemaa poolt, kes ei suuda mõista, kuidas on võimalik rahvast usaldada ja talle relvi kätte anda. Valmis on karistusseadustiku eelnõu, mis pidi jõustuma sellel suvel ja mille järgi oleks Kaitseliidule antud volitus tegutseda riigivastaste massimeeleavalduste ja korratuste ohjeldamisel ning korra loomisel. See oleks normaalne, sest Kaitseliit, kuigi ta on Kaitsejõudude osa, on siiski vabatahtlik kaitseorganisatsioon ja tema kasutamine rahutuste mahasurumisel ei ole samastatav armee kasutamisega tsiviilelanike vastu. Äärmuslikel juhtudel võimaldanuks seadus kasutada ka Kaitseväge. Teame, et paljudes Euroopa riikides on armee kasutamine sisekorra tagamisel seadustatud ja normaalne. Paraku leiab täna võimul olev valitsus, et Kaitseliidule ja Kaitseväele ei tohi sellist õigust anda ja seadus tehakse ümber. Jätkuvalt peaks mehed välja minema abipolitseinikuks maskeerunult. Arvestades Ukraina sündmusi ja Venemaa kava taastada impeerium, leian, et see on vastutustundetu ja lühinägelik otsus. Hirm, et Kaitseliidu kasutamine annaks Vene propagandaveskile trumpe juurde on alusetu. Vene propaganda mõtleb enda propaganda ja ettekäänete jaoks vajaliku ise välja, nemad ei vaja selleks ei põhjust ega tegelikke fakte. Kaitseliidu kasutamise kasuks räägib tugevalt ka asjaolu, et Siseministeeriumi haldusalas on koosseise (politsei, päästeamet, piirivalve) viimase seitsme aasta jooksul kärbitud 15%, ehk u. 2000 inimese võrra. Meie sisejulgeoleku tagamise võimekus on sellega oluliselt langenud, samas on oht varasemast suurem. Tegelikult peaksime rääkima ka siseturvalisusele riigieelarvest kahe protsendi eraldamisest. Praegu on see 1,6. Nüüd veidi meie lõunanaabritest. Kellelegi ei ole ilmselt uudiseks meie julgeolekuprobleemid lõunapiiril, mis tulenevad konkreetselt Läti ja Leedu üleminekust palgaarmeedele ja nende pea olematust kaitsevõimest. Kui Venemaa otsustab meid rünnata lõunast, siis läbimarss Lätist meenutab pigem lõbusõitu. Baltikum on täna ainus koht Euroopas, kus konventsionaalsete jõudude tasakaal Venemaa ja NATO vahel puudub. Meil pole tanke, lennukeid, koptereid, õhutõrjesüsteeme, rannakaitset jne vastukaaluks Venemaa poolt meie piiride taha koondatud märkimisväärselt suurtele jõududele. Eesti, kes on oma lõunanaabritest vaieldamatult peajagu üle, ei suuda üksi kõike korraga hankida, eriti olukorras, kus lõunanaabrid suhtuvad vastutustundetult enda ja regiooni julgeolekusse. Balti regiooni, kui NATO nõrgema lüli, ründamine annaks Venemaale võimaluse kombata NATO solidaarsust ja reaalse pildi, kas artikkel viis toimib. Ukraina kriisi ajal siia toodud NATO hävitajad, laevastiku- ja muud üksused, samuti teised planeeritud sammud mõnevõrra küll tasakaalustavad olukorda, kuid tegelikust tasakaalust rääkida ei saa. NATO sõjalise abi saabumine võtab paratamatult aega, seni peame ise hakkama saama. Siinkohal tuleks meenutada, et hoolimata sellest, et Läti kaitsevägi oma mõne tuhande palgasõduriga ei ole kahjuks arvestatav ja väljaõpetatud reservi peale palgaarmeele üleminekut 2006. aastal ei lisandu, on Lätil olemas meie Kaitseliiduga sarnane vabatahtlik kaitseorganisatsioon Zemessardze. Sinna kuulub enam kui 15 000 sõjalist väljaõpet saavat võitlejat. See on täiesti arvestatav jõud. Eelmise kümnendi lõpus tavaliste kaitseliitlaste isiklikest kontaktidest alguse saanud kavatsus korraldada Eestis ühiseid koolitusi leidis meie julgeolekustruktuuride vahelesegamise tõttu kahjuks kiire lõpu. Miks, seda ma selgitada ei oska. Võib-olla saab siit tõmmata niite Simmi, Dresseni või kellegi teiseni. Seda tasuks võib-olla uurida. 2010 allkirjastasid Eesti ja Läti kaitseliitude ülemad koostööprotokolli. Tegemist oli esimese korraga peale taasiseseisvumist, kus Eesti ja Läti vabatahtlikud riigikaitseorganisatsioonid taolise leppe sõlmisid, kuid see kajastas ühistegevust vaid järgmise aasta lõikes. Ma ei ole väga täpselt kursis, millise aktiivsusega koostöö on jätkunud. Ühistest spordivõistlustest ja paraadidest, mis toimuvad regulaarselt, ma ei räägi. Lätlased on osalenud igatahes Kevadtormil ja tänavu käis seda väisamas ka Zemessardze ülem. Nende lennukid osalesid 2013 Kaitseliidu Lääne maleva suurõppusel Orkaan. Koostööd tehakse ka Eesti-Läti piirilähedaste Kaitseliidu ja Zemessardze üksuste vahel. Eesti kaitseliitlased on osalenud Lätis toimunud õppustel. See on väga positiivne. Me peamegi panustama Zemessardzega igakülgse ja mõlemale poolele kasuliku koostöö arendamisse. Läti kaitseliit koosneb samuti kui Eestis kõrgelt motiveeritud ja patriootlikest inimestest, kes ei ole nõus vastupanu osutamata oma riiki käest ära andma. Ühiste koolituste, õppuste ja manöövrite korraldamine ning koostöö planeerimise valdkonnas on otseselt meie riikliku julgeoleku huvides. Mida tugevama ja parema väljaõppega Läti vabatahtlikud on, seda raskem on venelastel läbi Läti Eestisse marssida. See säästab paljude eesti sõdurite ja kaitseliitlaste elu. Lõpetuseks jutustan ühe tuttava kaitseliitlase suust kuuldud tõestisündinud loo, mis pärineb eelmise aasta lõpust, kui ta osales Poolas toimunud NATO manöövritel, kus harjutati Balti riikide kaitsmist. Muuseas, NATOs peeti eestlasi tollal veel vene ohu suhtes paranoilisteks. Minu tuttav oli parasjagu ühe sõjaväelinnaku suitsunurgas, kui sinna tulid kaks vene ja üks valgevene ohvitser, kes olid manöövritel vaatlejateks. Meie mees seisis Eesti lipp varrukal seina poole ja nii ei osanud ohvitserid kahtlustadagi, et ta vene keelt võiks osata. Ohvitserid olid arutanud isekeskis Poola kaitseväe tugevuse ja nende Leopard tankide headuse üle ning jõudnud siis jutuga Balti riikideni. Üksmeelselt tõdeti, et Leedust pole peale palgaarmeele üleminekut enam vastast ja et Lätist ei tasu üldsegi rääkida. Siis vangutati päid, et aga eestlased, need on ju täiesti püstihullud – selliste põrgusigidikega läheb meil vägagi raskeks. Ma arvan, et nad ei kujuta ettegi kui raskeks.